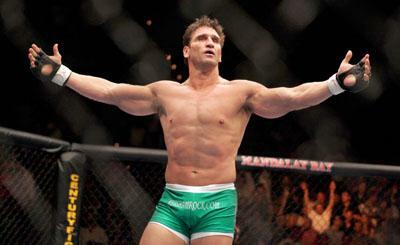 “The World’s Most Dangerous Man” Ken Shamrock is taking his upcoming fight with Kimbo Slice very serious. Shamrock has left his family at home and taken up residence in an RV next to the gym in San Diego where he’s training for this showdown that was supposed to take place in Elite XC back in 2008. Ken says he has unfinished business with Kimbo and needs this fight to move on. At 51-years-old the MMA legend looks remarkable and just might be able to pull this off. How will he fare this Friday, June 19, against Kimbo in the Bellator MMA main event live on Spike TV at 9 p.m. ET/6 p.m. PT? Who you picking?